Aerial photos of Wollaton Hall in Nottingham. The Hall set in about 500 acres was finished in 1588 and now houses Nottingham's natural history museum. 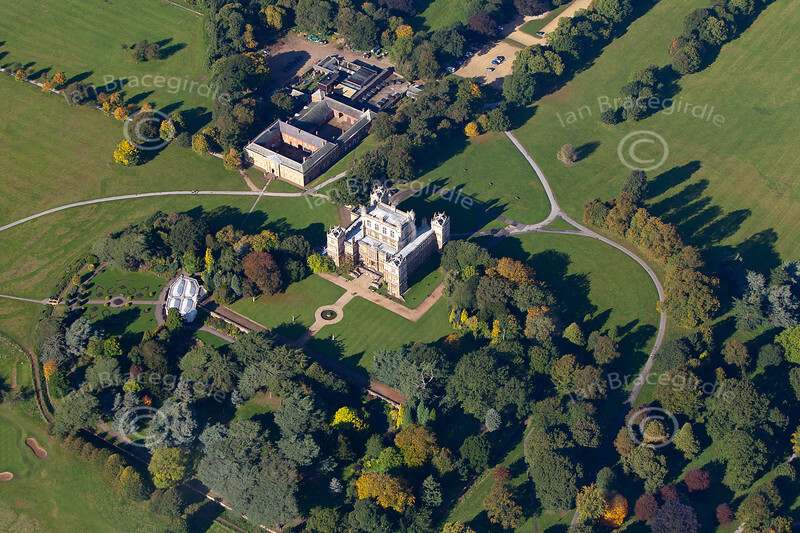 Wollaton Hall from the air. An aerial photo of Wollaton Hall in Wollaton Park in Nottingham. If this is the photo you would like to purchase, click the BUY ME button for prices and sizes of prints and digital downloads. If this is the photo you would like to purchase, click the BUY ME button for prices and sizes of prints and digital downloads.